In autumn 2011, the Finnish cross-country skier Juha Lalluka, known as a “lone-wolf” because of his training habit, showed an adverse analytical finding with regard to human growth hormone (hGH). The timing was ideal. As the FINADA Supervisory Body in view of the A and B positive samples initiated disciplinary proceedings against Lalluka for violation of anti-doping rules, the Veerpalu case was pending before the CAS. At the athlete’s request, the Supervisory Board postponed the proceedings until the CAS rendered the award in the Veerpalu case. Indeed, on 25 March 2013, the CAS shook the anti-doping order: it cleared Andrus Veerpalu of an anti-doping rule violation for recombinant hGH (rhGH) on the grounds that the decision limits set by WADA to define the ratio beyond which the laboratories should report the presence of rhGH had not proven scientifically reliable. The Veerpalu precedent has become a rallying flag for athletes suspected of use of hGH and confirmed some concerns raised about the application of the hGH test. Not surprisingly, Sinkewitz and Lallukka followed the road that Veerpalu paved and sought to overturn their doping ban by alleging the scientific unreliability of the hGH decisions limits. Without success, however. With the full text of the CAS award on the Lallukka case released a few weeks ago and the new rules of the 2015 WADA Code coming into force, we grasp the opportunity to outline the ambiguous approach of CAS on the validity of the hGH test. In short: Should the Veerpalu case and its claim that doping sanctions should rely on scientifically well founded assessments be considered as a fundamental precedent or as a mere exception? The hGH is a hormone synthesized and secreted by cells in the anterior pituitary gland located at the base of the brain. It is an endogenous substance, i.e. naturally produced in humans such as testosterone, and is necessary for skeletal growth, recovering cell and tissue damage. When released by the liver, hGH bonds to receptors in targeted cells to stimulate an increase in the levels of insulin growth factors, which stimulate growth and development of the cells. It is noteworthy that the level of total hGH concentration varies in a human’s blood naturally and substantially over the course of the day. High concentrations of hGH are considered abnormal and associated with anabolic substances. Although there is no scientific consensus on whether higher levels of hGH actually enhance performance, anti-doping authorities have long been trying to detect and prevent the use of rhGH. The first blood test for hGH was introduced only at the 2004 Olympic Games in Athens. The major challenge in developing a doping test for hGH has been the uncertainty and variability in data used to establish the so called decision limits, namely a cut-point to assess whether an athlete’s blood higher hGH levels are natural or a result of doping. In 2010, the World Anti-Doping Agency (WADA) published its guidelines for the hGH test, including the test’s decision limits. The testing is done through the use of two distinct sets of reactive tubes coated with two combinations of antibodies, which are referred to as Kit1 and Kit2. The ratio of concentration of rhGH versus other natural derived isoforms of hGH are measured with the Kits which are developed to detect the administration of exogenous hGH. Under the 2010 Guidelines, the decision limit values as regards to male athletes are 1.81 for Kit 1 and 1.68 for Kit 2. Any value above these limits triggers the report by the laboratory of a positive test. Nevertheless, since its introduction, the WADA hGH test has raised multiple concerns in the scientific community with regard to the lack of reliable and valid scientific knowledge about factors other than doping that might affect the relationships upon which the test relies. The varying levels of all types of hGH make it difficult to establish an accurate baseline measurement for natural hGH values and rations. For instance, hGH can be affected by factors such as gender, age, exercise, body consumption, time of day and stress. Also psychological or pathological factors may affect the ratio. In view of the lack of significant knowledge with regard to the factors that may result in suspicious hGH values, it is highly possible that athletes are mistakenly labelled as ‘cheaters’. Although the decision limits of hGH tests are still being debated, in the last few years, the CAS has been called to strike the right balance between the need for fairness in sport and the risk of devastating an athlete’s life, career and reputation on the basis of unsound scientific assessments. Crucially, it will be demonstrated that the CAS panels adopted a rather erratic approach when interpreting the hGH decision limits, adding legal uncertainty to the current scientific uncertainty. On 14 February 2011, Andrus Veerpalu, the Estonian Olympic Gold Medalist in cross-country skiing, was tested positive for hGH. On 12 September 2011, he appealed the three-year doping ban for use of hGH imposed by the International Ski Federation (FIS) and he became the first to challenge the validity of hGH tests before the CAS. With its decision on 25 March 2013, the CAS stunned the anti-doping world: it overturned Veerpalu’s drug suspension on the grounds that the decision limits of the hGH test could not be reliably verified. But, how did the CAS reach this striking ruling? First and foremost, the CAS did not question the hGH test itself, nor the scientific validity of the analytical method used to detect rhGH. The Court’s criticism rather focused on the lack of sufficient scientific validity in defining the decision limits set by WADA beyond which laboratories should report the presence of rhGH. Namely, the Court questioned the use of statistics in interpreting the hGH test results and detected three procedural flaws: (1) inconsistencies in the studies conducted, (2) the lack of peer review on WADA hGH studies and (3) the insufficient evidence submitted during the proceedings. In particular, as the studies on hGH are concerned, the panel concluded that the population study that had been conducted to establish the decision limits of the hGH test was inadequate. In view of the procedural flaws detected in the statistical analysis conducted by WADA to establish the hGH baseline, the panel did not consider itself comfortably satisfied as to the reliability of the decision limits for the hGH test, and acquitted Veerpalu. To reverse a doping case and openly question WADA’s hGH test decision limits was an unprecedented move in light of the CAS’ usual hands-off approach when dealing with WADA policies. The Veerpalu award was not only a huge blow to WADA hGH tests, but it also triggered significant rethinking of the standards applicable in the anti-doping fight. As an immediate consequence of the award, all reporting of adverse analytical findings for rhGH were frozen pending the completion of new studies on the determination of hGH test decision limits based on a bigger population-based study. Secondly, a new rebuttable presumption of the scientific validity of the analytical methods and decision limits for rhGH was introduced in the revised WADC 2015 at Article 3.2.1. The new rule shifts the burden of establishing flaws in the scientific validity of analytical tools on the athlete’s shoulders. Interestingly enough, the presumption applies only to methods and decisions limits that are scientifically reliable, meaning they must have been approved by WADA after consultation with the relevant scientific community and subject to peer review. At the same time, the provision intends to set new procedural requirements in the judicial review of the analytical methods or decision limits used by WADA. Such a review is subject (1) to a mandatory notice to WADA of the challenge and (2) to the right for WADA to intervene in the CAS proceedings and request from the CAS to appoint an appropriate scientific expert to assist the panel in the evaluation of the challenge. More importantly, the Veerpalu award sets an important threshold in doping cases – as well as in every case where the CAS has to deal with scientific evidence: the need for scientific validity and systematic transparency before the imposition of any sanction. This development in conjunction with the new rule of evidence of Article 3.2.1 WADC 2015 can be considered as paving the way for a fairer and more realistic chance for Athletes to successfully rebut a doping sanction. The Veerpalu case soon inspired athletes facing anti-doping sanctions. The German cyclist Patrik Sinkewitz and Lallukka, two athletes detected positive for rhGH, attempted to overturn their doping ban based on the Veerpalu precedent. However, the CAS begged to differ. In the Sinkewitz case, the panel justified its deviation from the Veerpalu award by introducing the ‘borderline’ criterion. Unlike Veerpalu, Sinkewitz’s samples were far higher than the WADA decision limits and, as a result, he could not benefit from the uncertainty of a borderline situation. In view of this, Sinkewitz was found ineligible for 8 years, since it was his second anti-doping rules violation. More importantly, the panel relied on a different evaluation of the hGH test, contradicting thereby the Veerpalu reasoning. According to the Sinkewitz panel, the decision limits defined in WADA Guidelines represent mere means of evidence and can serve as a recommendation to the laboratories, without being, however, mandatory and decisive for determining whether an anti-doping rule violation occurred. This practically means that even in the instance of a ratio below the decision limits or in a borderline situation like the Veerpalu one, the panel could be ‘comfortably satisfied’ by expert evidence identifying rhGH irrespectively of the validity of the decision limits. Contrary to the Veerpalu panel which seemed to rely on a perception of the hGH test as a quantitative analysis applicable to Threshold Substances covered by the Technical Document on Decision limits, the Sinkewitz panel - by characterizing the decision limits as a mere technical criterion for the identification of rhGH - seemed to perceive the hGH test analysis as a qualitative one, implying that more criteria are taken into account. Lallukka hGH case: Reconciling a conflicting jurisprudence ? The Sinkewitz panel’s pattern with regard to the hGH tests decision limits was later followed by the Lallukka panel. The latter validated the Sinkewitz conclusion that the decision limits have no legal status and it further used this argument in order to rebut Lallukka’s objection about the retroactive application of legal rules. Since decision limits are not rules as such, but rather means of evidence figured as ‘guidelines’, the rule against retroactivity cannot apply to evidentiary matters. However, it can me remarked that as in the Sinkewitz case the CAS chose to abstain from any criticism with regard to WADA’s practice to incorporate the decision limits into guidelines, instead of enshrining them directly in a mandatory document. Furthermore, the deviation from the Veerpalu precedent was based on the evidence provided in two independent studies mandated by WADA, i.e. the Mc Gill Study and a study from Prof Jean-Christophe Thalabard, which were merged into a peer- reviewed joint publication paper. According to the panel, the studies responded adequately to the concerns expressed in the Veerpalu case and established the decision limits with a 99.99% specificity. As a result, the panel was comfortably satisfied as regards the reliability of the hGH tests decision limits and Lalluka could not benefit from the Veerpalu precedent. Nevertheless, although at a first glance being in line with the Sinkewitz award, the Lallukka award added an interesting twist regarding the starting point of the athlete’s suspension. In fact, the panel by reference to the principle of fairness concluded that the athlete’s disqualification would start only from June 2014 onwards, when WADA was in a position to answer in a documented manner, i.e. through the peer-reviewed joint publication paper, the issues raised in the Veerpalu case. Thus, the panel seems to apply the ‘golden rule’ established in the Veerpalu case that a doping sanction could be imposed only on the basis of reliable scientific knowledge. 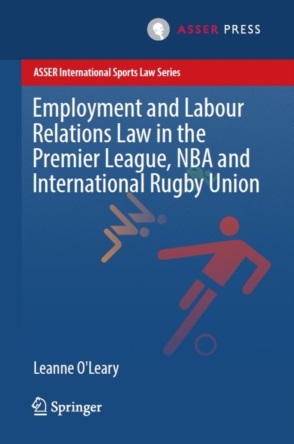 Thereby, creating a sort of legal bridge between the competing lines of CAS jurisprudence and paving the road to a fair reconciliation preserving the rights of the athletes. The Veerpalu ruling was a landmark case for the CAS in doping matters and particularly concerning the hGH test. It set a clear standard for future CAS panels: when exercising their daunting task of reviewing decisions based on complex scientific assessments, they need to ensure that these assessments rely on transparent and rigorous scientific practice of the highest quality. The Sinkewitz and Lallukka cases, however, unveiled an unfortunate (partial) retreat from this position. This is not without consequence regarding the credibility of the CAS and the anti-doping fight. The fight for clean sport must be based on the safest scientific standards possible and, to this end, these standards should stay subjected to full CAS scrutiny. With the new WADC 2015 and the rebuttable presumption of scientific validity for analytical methods and decision limits it enshrines, more intriguing legal challenges against the hGH tests are likely to be brought before the CAS. One may wonder whether this new regime will be advantageous for athletes or whether it is an ‘illusion of fairness’, since it seems highly unlikely that athletes without WADA’s extensive network of laboratories and resources can prove the unreliability of the hGH ratios. Whatever the future brings, one thing remains certain in the anti-doping landscape: the CAS’ absolute reluctance to openly question WADA rules belongs to the past. J Coleman and J Levien, ‘ The burden of proof in endogenous substance cases’ in M McNamee and V Moller (eds) Doping and Anti-Doping Policy in Sport- Ethical, legal and social perspectives (Routledge 2011) 27-49, 37. To be noted that there is no material change to this approach in the 2014 Guidelines. J Coleman and J Levien (n 3), 39. CAS. 2011/A/2566, Veerpalu v. FIS (n 2), paras 204-206. 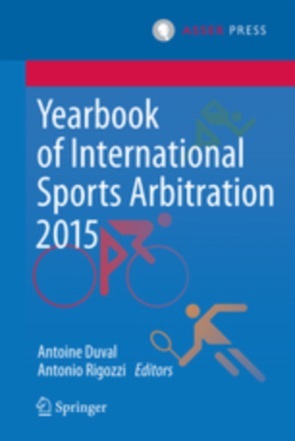 CAS 2012/A/2857 Nationale Anti-Doping Agentur Deutschland v. Patrick Sinkewitz (24 February 2014), para 204. The Court of Arbitration for Sport after Pechstein: Reform or Revolution? Good to see such an informative article. Thank you.